★Special Guests: Daniel Summerhill dishes on his new book of poetry, Crafted, as well as his plans to tour Europe. ★Baby Hacks: Two of tonight’s panelists have new offspring. They share some baby life hacks that help them get by. Tweet your baby life hack to @BeatShotRadio #BabyHacks (No more condom pictures, please). ★The Remains Of The Day: The remains of 14 persons of African descent, once owned by the notorious Phillip Schuyler, were re-buried this past Saturday during a ceremony at St. Agnes Cemetery. 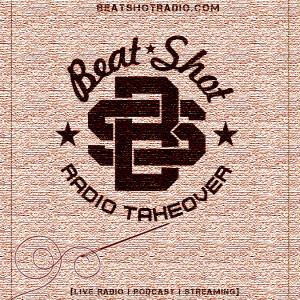 Beat*Shot Radio co-founder, JB! !, served as one of the pallbearers. We discuss. ★Reap What You Sew: We reveal instances where gender roles have denied us the know-how to perform simple tasks—like sew on buttons or know what a duvet cover is. ★Survival Trivia: Vital information relate to surviving in remote locations, now in trivia form! Put your vast knowledge of post-apocalyptic survival movies to the test. ★Longest Lines: What’s the longest you’ve ever stood in line, and why? We discuss. Tweet yours to #LongestLines @BeatShotRadio.